Please visit our Dolby Theatre pages for information, show schedules and tickets. 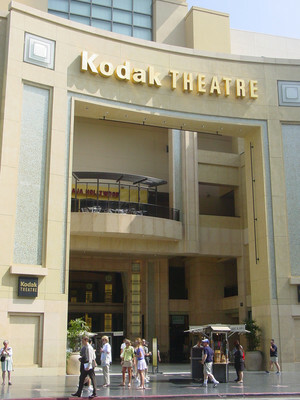 The world-famous Kodak Theater changed its name to the Dolby Theatre in June 2012; the new Dolby signs on the front of the building on Hollywood Boulevard were revealed in an Academy Award-style red carpet ceremony. Still serving as host to the Academy Awards and the weekly Cirque du Soleil Iris show, the venue boasts the dramatic new Dolby Atmos audio set-up and 3D conversion of the multi-tiered 3,400-seat, 180,000 square-foot theater.